I was shocked to hear recently on a respected radio show, that author Douglas Woodward has formulated a new prophetic theory! Woodward believes that the Lord has revealed to him that Russia is going to invade America, the United Kingdom and Saudi Arabia as per Ezekiel 38:10-13! Below are a few quotes issued directly from Woodward during the radio program and from his new book. “Ezekiel eludes a land of unwalled villages. Traditional conventional interpretation is that we’re still talking about Israel… in Ezekiel 38:8… I (Woodward) believe we’re NOT! I believe the context goes on to point this out. Woodward speaks about the conventional interpretation of Ezekiel 38:10-13, which is taught by Bible prophecy experts like Hal Lindsey, Chuck Missler and Bill Salus. Since Woodward graciously identified me among those that teach the conventional interpretation of these verses, I will provide my nutshell version of related commentary below. A detailed exposition of the entire Ezekiel 38 prophecy is provided in my book entitled, The NOW Prophecies, in the chapter called, “Is America in Ezekiel 38?” A related article of the same name is linked here. First, let me say that I agree with Woodward on a couple of key points. 1. Russia is identified in Ezekiel 38 as the lead belligerent in the Gog of Magog coalition that invades Israel. 2. Saudi Arabia, the UK and the USA, are probably identified in Ezekiel 38:13 as Dedan and the merchants of Tarshish and their young lions. However, I disagree with his new theory that Ezekiel 38:10-13 describes a Russian invasion of the USA, UK and Saudi Arabia because they are, according to Woodward, “Today’s economic picture in the world…the axis of economic evil that runs the world economic system.” The pertinent prophetic verses are provided below and explained beneath them. Conventionally speaking, the Jews, not the Saudis, Brits or Americans, are “the people that are gathered out of the nations.” This is mentioned In Ezekiel 38:8, 12, alluding to the Jewish people. These facts are true today. A generally uninterrupted flow of Jews has been steadily flocking into Israel over the past century. They are returning from the nations and they inhabit a land that was desolate for centuries prior, just as was predicted to occur in Ezekiel 36. Since Israel is already fulfilling all of these prerequisite conditions, I see no reason to interpret Ezekiel 38:10-13 as “something of an, oh by the way parenthetical comment,” which is what Woodward does. Woodward points out that Israel is not, “dwelling safely,” as a “land of unwalled villages” presently. I agree that Israel is not currently in this condition for the present. But, Woodward’s focus on the present is a major source of interpretation error in ruling out Israel in favor of the USA and UK in Ezekiel 38:10-13. Ezekiel 38:8, 11 and 14 clearly predicts that Israel will dwell safely prior to the Russian invasion of Israel. 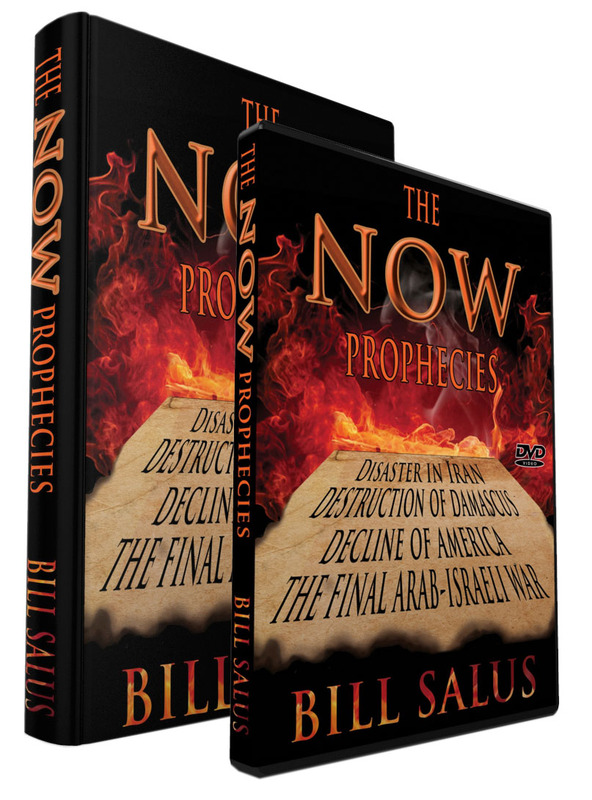 The NOW Prophecies book explains how that will change after the Israeli Defense Forces defeat their Arab enemies in Psalm 83. Douglas Woodward does not appear to agree with my teachings on this topic. This section will present the problems with Woodward’s new non-traditional and unconditional theory of Ezekiel 38:10-13. Keep in mind that Woodward believes that Israel is involved in Ezekiel 38:1-9, but he removes Israel in favor of USA, UK and Saudi Arabia, in Ezekiel 38:10-13. I presume he reverts back to Israel in Ezekiel 38:14-23. If not, that opens up another set of serious problems with his interpretation. Woodward’s new theory presents several problematic questions, some of which are identified below. The Hebrew word Ezekiel uses for “desolate” is “chorbah.” This word can be translated as waste, ruined, destroyed, or desolated area. It is used in the Old Testament over forty times to describe waste places, desolated territories, or ruins. It is not the preferred Hebrew word used to describe barren or undeveloped lands, which was the case in America when Ezekiel 38 was written. It is doubtful that Ezekiel was describing the uncultivated land of America when he wrote the prophecy. Ezekiel 38:8 informs that Israel was gathered from the nations and brought back to the waste places. This means that whoever is gathered from the nations and brought back to the waste places in Ezekiel 38:12 has to either be Israel, or replicate the re-gathering model of Israel. 3. Where in the “midst of the land” are the regathered people dwelling? It was previously explained that the midst of the land must be in the center of the country. Which land is being specifically targeted? Ezekiel 38:12 specifies that Russia invades a people that dwell in the midst of the land (singular), and not lands (plural). Is the verse alluding to the midst of Sheba, which is Yemen today? Or, is it speaking about Dedan (Saudi Arabia), Tarshish (England), or America as the young lions?” It can’t be all four, so Woodward has to choose one from the list above. 4. Does the entire Magog coalition of Russia, Iran, Turkey, Libya and the other five members invade the USA, UK, Saudi Arabia and Yemen? Ezekiel 38:13 says that Russia brings its “company” with it to take a prey. Who is involved in the company? Is it the entire coalition of Ezekiel 38:1-5? Woodward also believes that Psalm 83 culminates in Ezekiel 38. He posits the possibility that the Psalm 83 belligerents may be identified as “the many peoples with thee” in Ezekiel 38:6, 9 and 15. Below is another quote from the radio program. 5. Does Russia’s invading company include Lebanon, Jordan, Saudi Arabia, Syria, Iraq and all the other modern day equivalents of Psalm 83:6-8? If Psalm 83 and Ezekiel 38 are one war then that implies that the coalition that Russia brings to invade could include the 9 members of Ezekiel 38:1-5 and the 10 members of Psalm 83:6-8. If so, this would mean that Saudi Arabia is invading its own country, because they appear to be listed in Psalm 83:6 under the banner of the Ishmaelites. 6. How does the invasion of the USA, UK, Saudi Arabia and Yemen conclude? If his interpretation is correct, then Americans need to know how he comes up with this conclusion. Is America about to revisit the “Cold War” era, and does this mean that the UK, Saudi Arabia and Yemen are also going to be devastated? 7. If Russia invades the USA, UK, Saudi Arabia and Yemen for plunder and booty, then what is the motive for the Russian coalition to invade Israel? 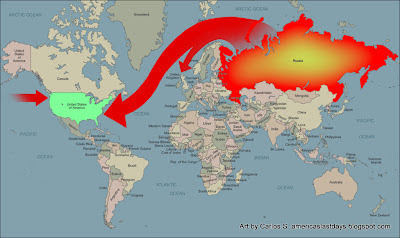 The traditional teaching is that Russia is invading Israel for plunder and booty, but if they capture the plunder and booty from the USA, UK, and Saudi Arabia then what motivates them to invade Israel? Douglas Woodward’s new theory is a paradigm shift in the traditional teaching of Ezekiel 38:10-13. It presents a menu of problematic questions, some of which are identified above. Unless Woodward can satisfactorily answer all of the above questions, then I would encourage the reader to recognize that Ezekiel 38:10-13 is still addressing Israel, rather than the USA, UK, Saudi Arabia and Yemen, as the country that the Gog of Magog coalition invades. I am not saying that America won’t come under a future attack from Russia, Iran, China, North Korea or elsewhere. I am saying that no such Russian led invasion is described in Ezekiel 38:10-13! Sometime in the future, I plan on presenting the exegetical problems with the teachings of Woodward and others that advocate America is the Babylon spoken about in the books of Jeremiah, Isaiah and Revelation. CLICK HERE TO READ DOUG WOODWARD’S RESPONSE TO THIS ARTICLE CALLED, “WHY I SHOCKED BROTHER BILL SALUS”. HE DOESN’T ANSWER ANY OF THE QUESTIONS ABOVE. WARNING, THE WOODWARD ARTICLE IS LONG AND FILLED WITH PROMOTION FOR HIS BOOKS. ONLY IN THE CONCLUSION OF THE ARTICLE DOES HE SAY SOMETHING RELEVANT TO MY QUESTIONS ABOVE. HERE’S THE QUOTE. I’M STILL WAITING TO RECEIVE WOODWARD’S ANSWERS TO MY QUESTIONS ABOVE. UNLESS HE DOES PROVIDE ADEQUATE ANSWERS, I ENCOURAGE THE READERS TO THOROUGHLY DISREGARD HIS NEW THEORY AS ERRONEOUS TEACHING!